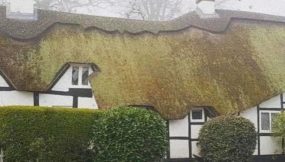 Heart of England Master Thatchers offers roof thatching services in Leicester. 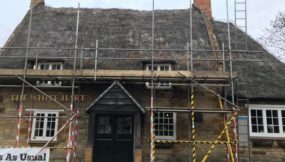 We are roof thatchers that undertake work all over the Midlands including Warwickshire, Northamptonshire and Rutland. 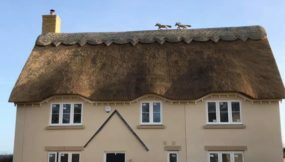 We have also carried out our thatching work on properties further afield such as Oxfordshire and other places across the UK. Formed in 2009, Heart of England were quickly established as the premium thatching company in the East Midlands. 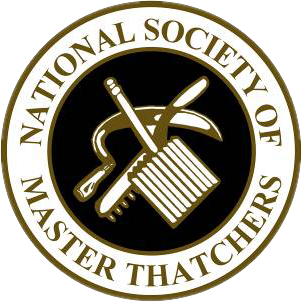 Each, individual Master Thatcher offers high-quality roof thatching that is completed to a high standard using only the finest materials. It is important that the materials used are of high quality and we guarantee work carried out by our team is up to high standards, giving you 100% satisfaction with our work. 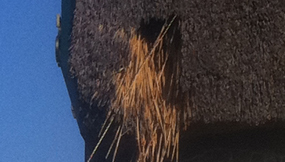 It is vital to ensure the maintenance of your thatched roof is up to date, mainly for health and safety reasons. 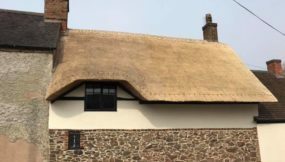 In their lifetime thatched properties will need a thorough re-thatch and here at Heart of England Master Thatchers, our experienced team can help with this and other repairs you may need throughout the year. 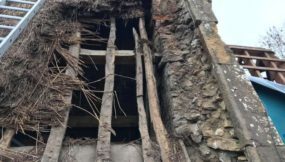 We like to make sure that properties with a thatched roof are safe in all weathers. 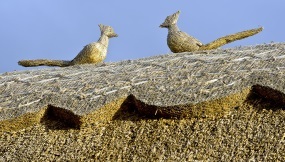 In winter a thatched roof needs to be fully insulated to ensure there is no loss of heat. Chimney care is also vital during the colder months as they are the most common fire risk in thatched properties. For more information about Heart of England, visit the About Us page. Our team of trained Roof Thatchers undertake a broad range of roofing restoration jobs throughout the UK. We offer services from re-thatching, repairs, adding ridges, removing lichen, moss removal and commercial thatching. 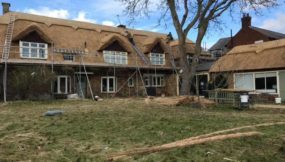 With over ten years’ experience in thatching, we have become renowned for our skills, friendly customer service and superior workmanship. A thatched roof is visually appealing to the eye, which adds warmth to any house or business. 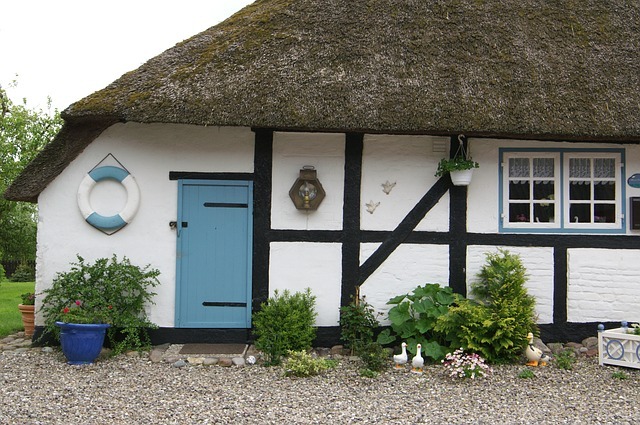 Thatched roofs are excellent for insulation, yet keeping your home or business cool in summer, if you are looking to bring life back to your home, then we can help here at Heart of England. 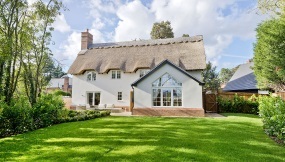 Having a thatched roof can be expensive at times depending on the size of your property. However, we firmly believe that roof thatching costs can be paid for in the long run as a thatched roof keeps your house cold in summer and warm in the winter. When you use a reputable thatching company like us with qualified craftsmen, your thatched roof will perfectly complete your house. 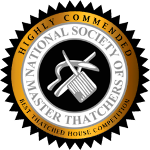 Here at Heart of England Master Thatchers, we use our trusted thatching processes on every rooftop ensuring high quality and high standards are met. 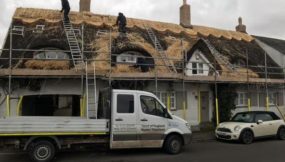 We make sure that once we have made a start to your roof; there will be a fully trained roof thatcher at your property every day until each service is complete whether it is a full re-thatch or a re-ridge. 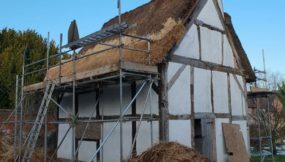 Fully trained in Water Reed, Combed Wheat and Long Straw along with the ability to ridge with Straw or Sedge means we are experts in all aspects of thatching. We undertake a wide range of restoration projects in a variety of materials. Ridges add further character to your property. Our expert team are confident we fulfill all your Ridge requirements. De-mossing can increase the life of your existing thatch and also increases the visible pleasure of a thatched roof.